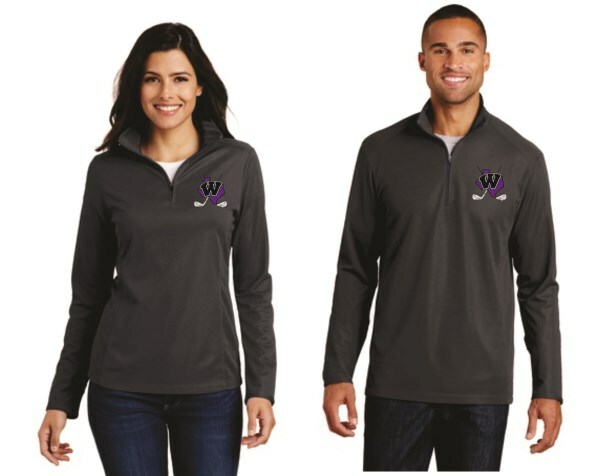 WHS Golf - Port Authority Pinpoint Mesh 1/2 Zip - Ladies & mens - In Battleship Grey w/ WHS Golf logo Emb Left Chest. Cadet Collar / Matching Zipper / Open Cuffs & Hem. Spec Sheets on links below for sizing purposes.